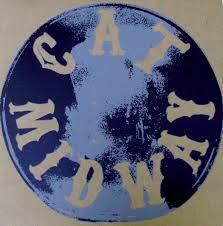 Cat Midway LP out now! Promotion Promotion Promotion!! In late June we held a release party for the self-titled debut EP by Cat Midway. Well it’s finally up in the GTG webstore! To make up for our, er, “punk” tardiness, from now until October 1st if you order the Cat Midway LP we’ll toss in any in-print GTG CD for free! Leave a note in the order (or just let it be random). If you really want an out-of-print CD we’ll see what we can do! Now for the spiel: This record is the debut LP by Cat Midway, the Lansing-based self-described “one-woman band with pots and pans, a guitar, some pills, and a tambourine!” Cat Midway cites influences ranging from the Ramones to Lucinda Williams, and the resulting music is a quietly intense spin on folk music conventions with a punk attitude throughout. Expertly recorded by Corey Derushia at Troubadour Recording in Lansing, MI, 12-inch LP manufactured at Archer Records in Detroit; it’s great. Get it for $10!